Aurora Robson, Heart Condition. 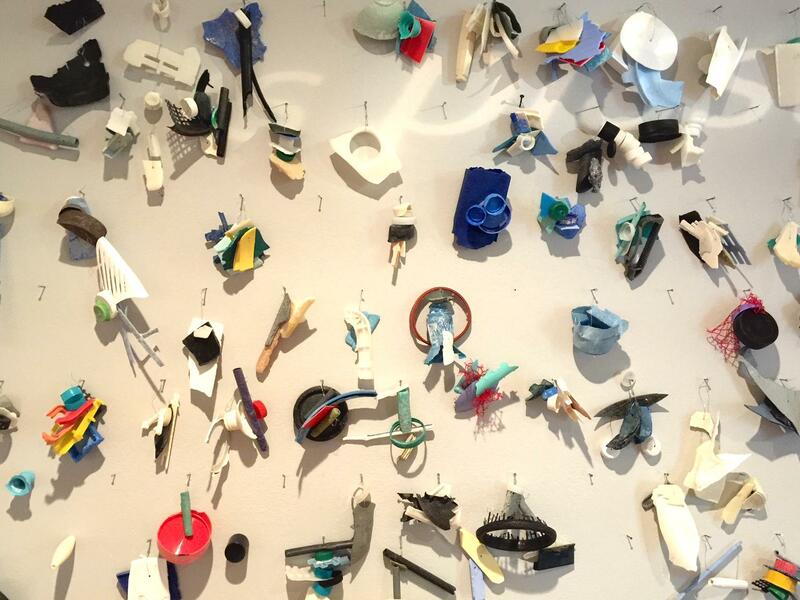 Robson's pieces are made entirely of plastic debris. 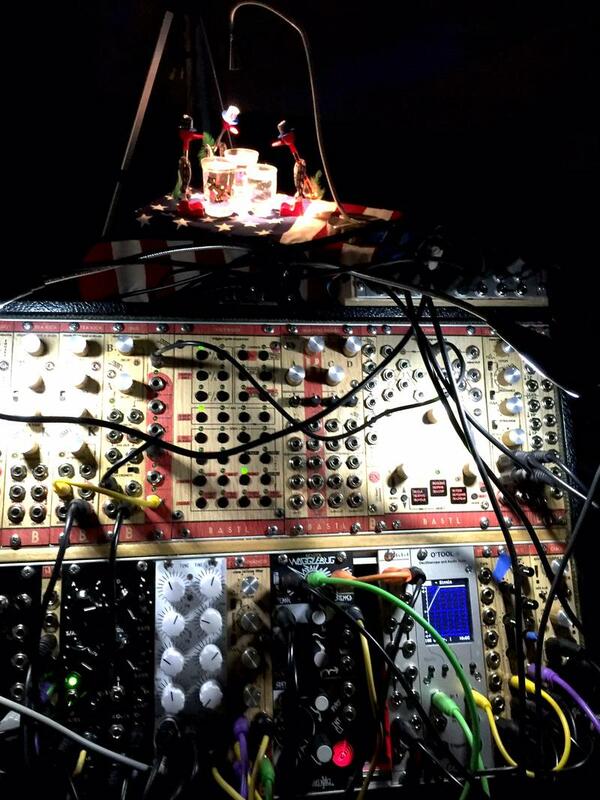 A conversation about "Plastic Fantastic? 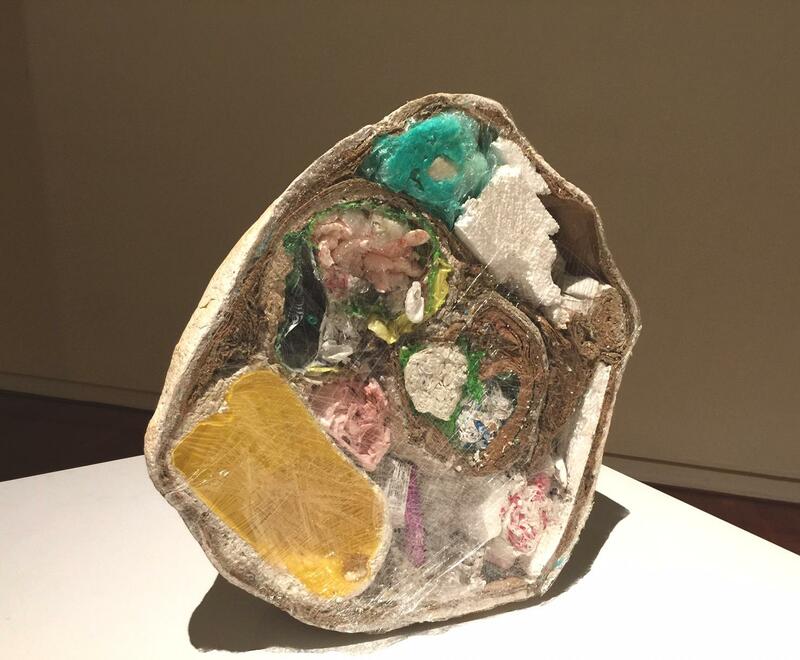 ", an exhibition of plastics in art and in the world around us, with tips on current challenges around plastics in Hawai'i. 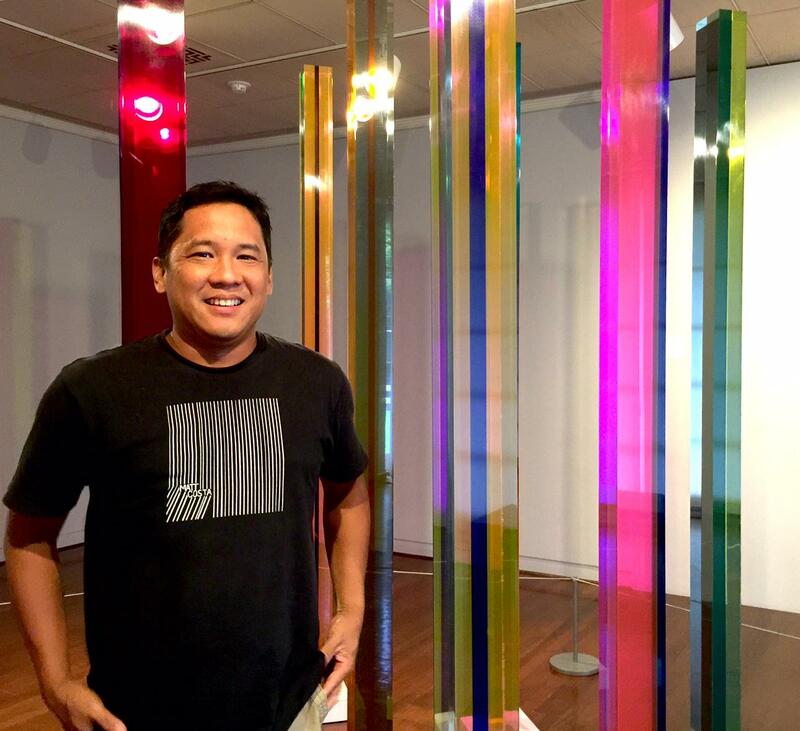 Spalding House Director Aaron Padilla curated the Plastic Fantastic? show, and found his life changed as a result. 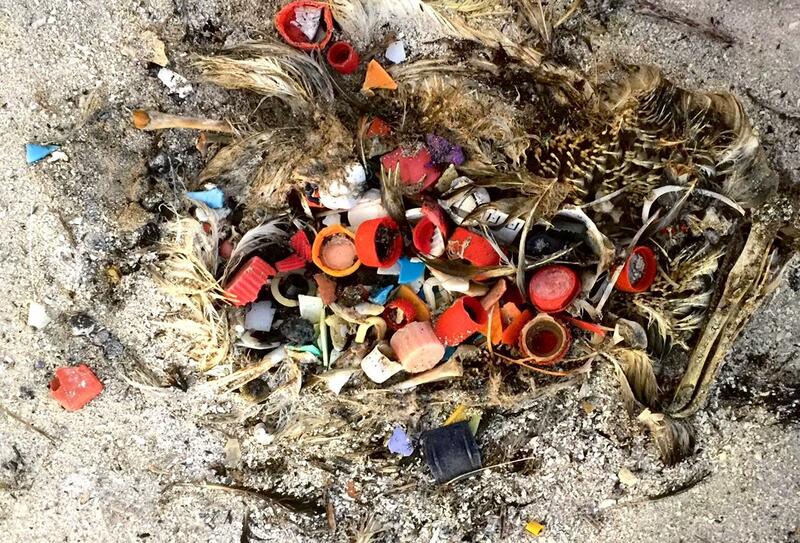 Recognizing how ubiquitous and indestructible plastics are, does tend to force some changes in behavior. Padilla is standing with an untitled piece by Vasa Vellzar Mihich. Spalding House Director Aaron Padilla didn’t know what he was getting into at first. He ranted to Kim Johnson of Kōkua Hawai‘i Foundation, who proposed the original idea: A show about plastic debris to coincide with the World Conservation Congress. Understanding that, really does take the joy out of plastic water bottles. Is there any good news? Maika'i Tubbs, MAD Fossil. Tubbs collected plastic bags, aluminum foil, cardboard, foam plates, and other detritus from aorund his New York City neighborhood and recombined them into a "natural" form. “Yes! There is good news.” Says Natalie McKinney, Executive Director of the Kōkua Hawai‘i Foundation. One big step forward was the plastic bag ban, of course the heavier "reusable" ones are still around, but McKinney says, we'll get over that. McKinney points to Le Jardin Academy’s new plastic free lunch program and Maui students and their #SporkItUp campaign against disposable flatware. Chris Jordan's well known photographs are in the Plastic Fantastic? show. This is a digital print of unaltered stomach contents in a Laysan albatross fledgling, taken on Midway Island. McKinney says several groups will be pressing for a styrofoam ban at the legislature next year. She's excited about the students who testified before the Hawai'i County Council this past year in support of a styrofoam ban because their desire for a more sustainable planet is driving them toward civic engagement. 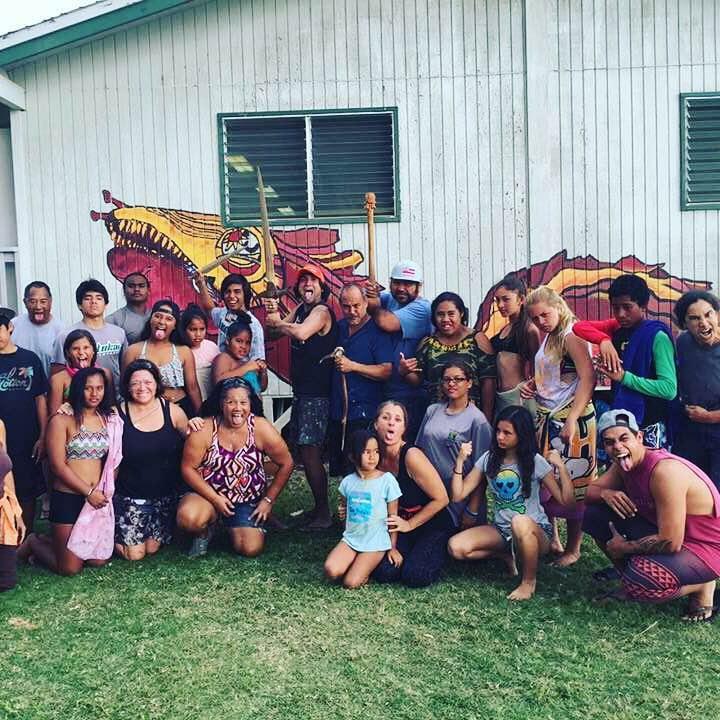 Spontaneous beach cleanups have been springing up, publicized @808Cleanups, and you can now look for the Ocean Friendly decal at over a hundred restaurants signifying their swing to reusables and compostables. “If the world is producing 50 billion tons of this per year, I’m sitting on an endless supply of material that I can turn into something else that’s useful. Whoever cracks that, they got it made!” says Padilla. 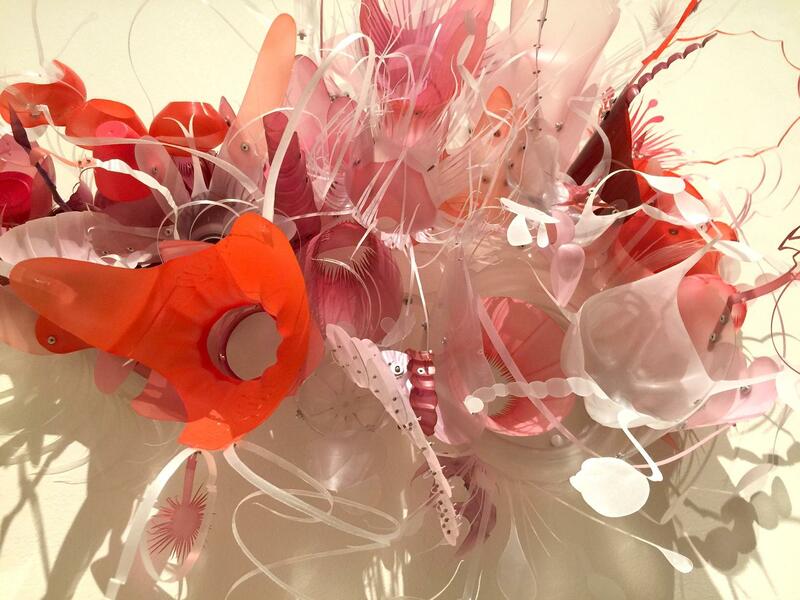 Meanwhile, some artists are using plastic to produce thoughtful, even beautiful art works, check Aurora Robson’s work, above, and in "Plastic Fantastic? 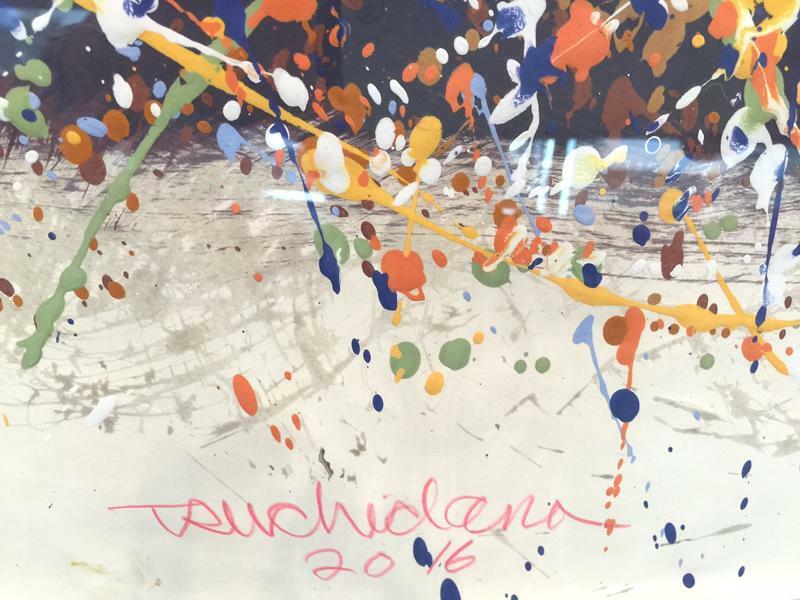 "at Spalding House through October 2, 2016. The audience participation wall in "Plastic Fantastic?" garnered more response than any other in the past five years at Spalding House. This activity sprang from the reality that an average American uses and discards 185 pounds of plastic a year, one ounce very three hours, day in and day out.